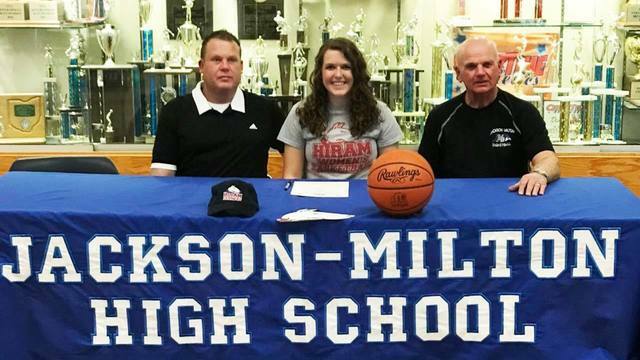 NORTH JACKSON, Ohio (WKBN) - Jackson-Milton senior Ashley Cameron will continue her academic and athletic career at Hiram College. Cameron was the lone senior for the Blue Jays this past year and was a three-year starter. The senior was a first-team MVAC selection her final year. She averaged a double-double this season and helped Jackson-Milton reach the Division IV Mineral Ridge District Semifinals.